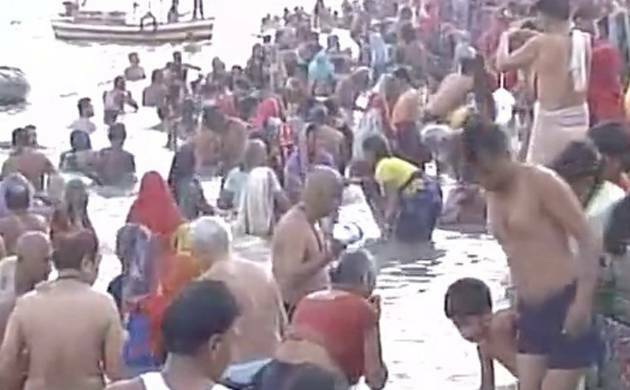 Huge rush was witnessed at ghats of Varansi, where people thronged to take a holy dip in river Ganga on the occasion of Ram Navami. People across the country are celebrating Ram Navami with great zeal and enthusiasm. Meanwhile, Prime Minister Narendra Modi has also greeted the nation on the occasion of Ram Navami. “On the pious occasion of Ram Navami, heartiest greetings to the countrymen,” he tweeted. Along with the tweet in Hindi and English, the Prime Minister posted a clip encapsulating his speeches related to Lord Rama.